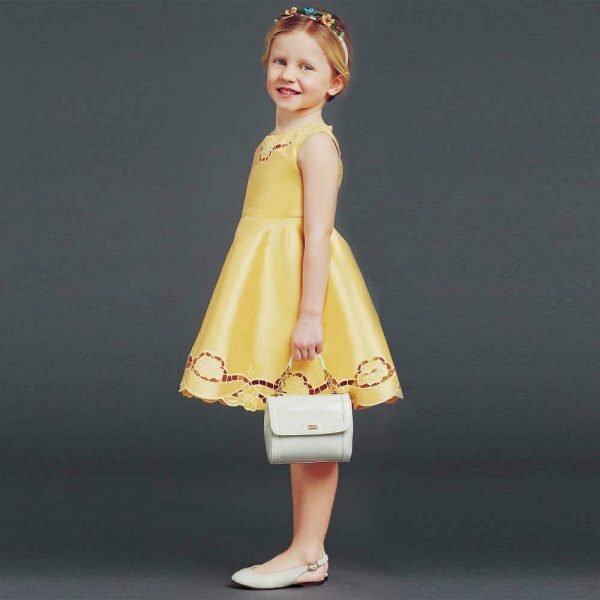 Your little girl will love this DOLCE & GABBANA Girls Mini Me Pink Zambia Cat Silk Dress. Inspired by D&G Women's Collection featured on the runway at Milan Fashion Week, this adorable full length special occasion dress is made in luxurious silk and features the exclusive Dolce & Gabbana Zambia cat print. Love the sheer, elasticated sleeves and detachable bow on the collar. 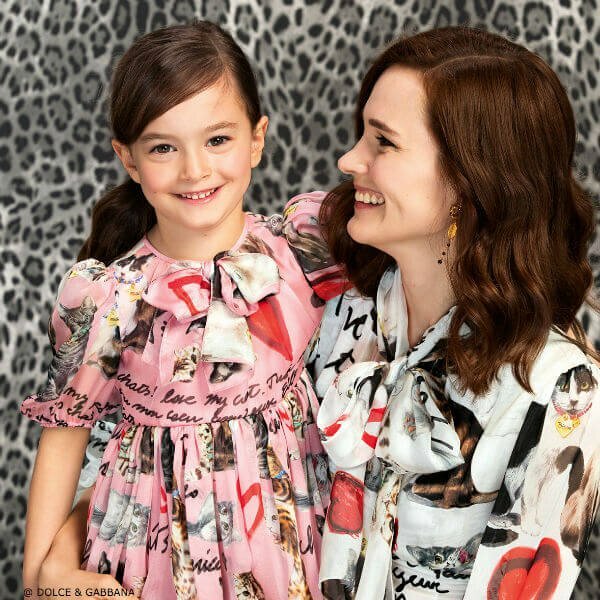 Mommy and daughter an dress like twins in these exquisite Dolce & Gabbana runway inspired dresses.